Since the sun's not just bad for your eyes and skin, UV protection window film helps you combat the effects on your home too. Clean the window very well. You may even want to scrape it with a razor blade depending on how much debris is present. Peel the backing from the film. Spray the appropriate solution onto the film. Your instruction manual will tell you if it doesn't already come with the film. Apply film to the window and take care to rub all of the bubbles out from between the film and window. Trim the film to fit the window perfectly. 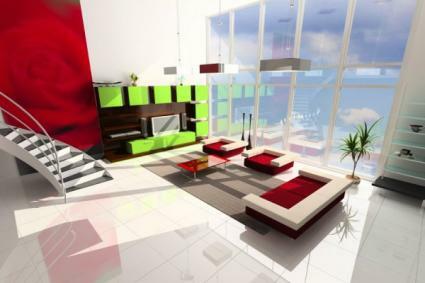 3M™ offers window films to protect your furniture from the sun, reduce the glare in your rooms, and save energy. They claim that their product will save you so much money over time, they'll effectively pay for themselves. Their warranty is like this: limited lifetime for residential window films; 15 years for commercial. They claim that this warranty is special because the company itself has a long-standing reputation. In other words, they'll still be around when you need them in 15 years. You can find a dealer by visiting the 3M™ homepage and clicking "Find a Dealer" at the top of their window film page. Statistics vary based on product number. For more information about any specific window film, please visit the 3M™ website and download the appropriate brochure. Window Solutions is located in the San Francisco Bay area. They've been in business for 30 years and they work with 3M™ Scotchtint™ products. They claim that the films they use block up to 99 percent of UV rays, substantially cutting down on the fading of home furnishings and the dangers of exposing yourself to UV rays. There's no need to worry that you won't get the same great warranty 3M™ products offer if you go with Window Solutions. They extend that same warranty to residential and commercial customers. You can contact Window Solutions on their website and ask for a free estimate. Gila Films are applied by the homeowner. If you visit the website, you can find out how to locate Gila Films in your area or you can visit their online store. Only apply the films to the insides of your windows. Application goes most smoothly when two people work together on it; it can be cumbersome for a single person to install the films. Be sure not to put the film on your windows if it's likely to get to below 32 degrees outside over the course of the first three days the film is up. While the film typically lasts up to 15 years, it's recommended on the Gila site that you change the film every five years if UV protection is the reason you bought it. Before installing your own Gila film, be sure to read the instructions carefully. Don't neglect your car when it comes to blocking UV, glare, and reflections. Llumar's product is not like the film you can buy and install on your own. It's professionally installed. Whether you choose clear or tinted you can be sure you're helping to lengthen the life of your car's interior-and protecting your eyes and skin. UV protection window film is your answer to preserving your home, your car, and yourself. You can opt for professional installation or the do-it-yourself variety.